Droid RAZR proves that thin no longer equals frail. It’s made strong with KEVLAR® fiber, while Corning® Gorilla® Glass defends the screen against scrapes and scratches. A force field of water-repellent nanoparticles shields the phone against water attacks — even the electrical boards inside. 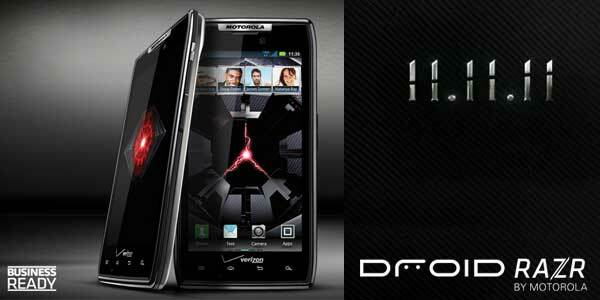 The RAZR will launch with Android 2.3.5 Gingerbread, though Verizon will reportedly upgrade the device to Android 4.0, Ice Cream Sandwich, in early 2012. There are also some accessory options for the RAZR, including an improved 14-inch laptop dock. The Motorola Droid RAZR is a Webtop phone, meaning it turns into a desktop or laptop computer running Firefox when it's hooked up to the appropriate dock.